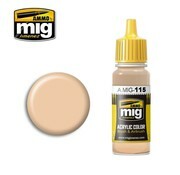 This is AMM0132 AMMO by Mig Acrylic Color - Real IDF Sand Grey 73 (17ml bottle) by Ammo by Mig. 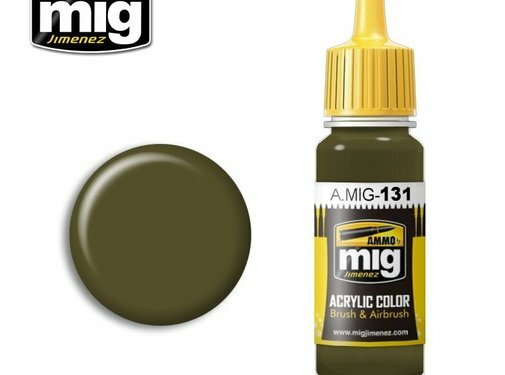 This is AMM0131 AMMO by Mig Acrylic Color - Real IDF Sinai Grey 82 (17ml bottle) by Ammo by Mig. 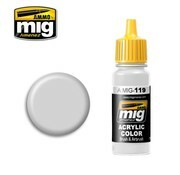 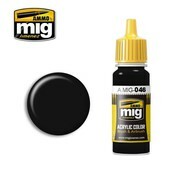 This is AMM0119 AMMO by Mig Acrylic Color - Cold Gray (17ml bottle) by Ammo by Mig. This is AMM0118 AMMO by Mig Acrylic Color - Burnt Sand (17ml bottle) by Ammo by Mig. This is AMM0115 AMMO by Mig Acrylic Color - Light Skin Tone (17ml bottle) by Ammo by Mig. 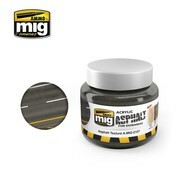 This is AMM0113 AMMO by Mig Acrylic Color - Khaki Green #3 (British 1939-42) (17ml bottle) by Ammo by Mig.